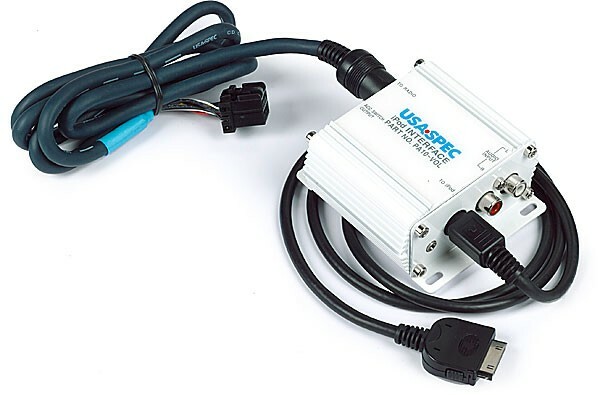 This revolutionary adapter by USA Spec will allow you to finally connect your iPod to your factory Mercedes Ben stereo system. The sound is crystal clear, and while using this adapter you can control the songs and volume using the buttons on the Mercedes Benz radio, or on the steering wheel. Don't be locked out of your iPod by other adapters, this adapter allows you to use the iPod wheel to navigate through your entire music collection. The adapter comes with the correct plug to simply plug the adapter into the CD-changer connector or behind the radio.There is no cutting or splicing of wires necessary. Includes installation cables, mounting screws and user's manual. Plus DVD player,satellite radio or audio other device can be used in conjunction with the iPod through aux audio input jack. 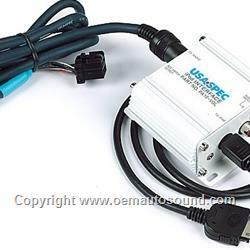 Adds Additional Auxiliary Input for a DVD Player,Portable Satellite Radio Tuner,or Mp3 Player. 10 Pin connector in right rear trunk behind carpet or behind the radio cable included.